In this post I'm going to examine Bluehost's different hosting plans. My name is Ryan and I earn a living online- primarily from websites that publish information and monetize with affiliate marketing and display ads. I also run my mother's small business website- so I have pretty diverse experience when it comes to hosting. I'm going to walk you through the 3 primary Bluehost hosting plans. I'll review what they actually provide in layman's terms. And I'll describe my own experience with Bluehost as one of their actual customers and a non-technical user. Shared Hosting: best for small sites looking for cost-effective hosting. Virtual Private Server Hosting: best for medium-sized accounts (50,000 visits a month) for enhanced performance and more dedicated resources. Dedicated Hosting: best for high-traffic, resource-heavy organization and business accounts that require high-end customization, security and performance. As I mentioned, I'm not a tech savant- I actually don't know a ton about the technical wizardry that enables my websites to be accessed across the world. Nevertheless, choosing a ​provider is a serious consideration. And I've done a ton of research on it- sometimes feeling like I knew less than before I started. 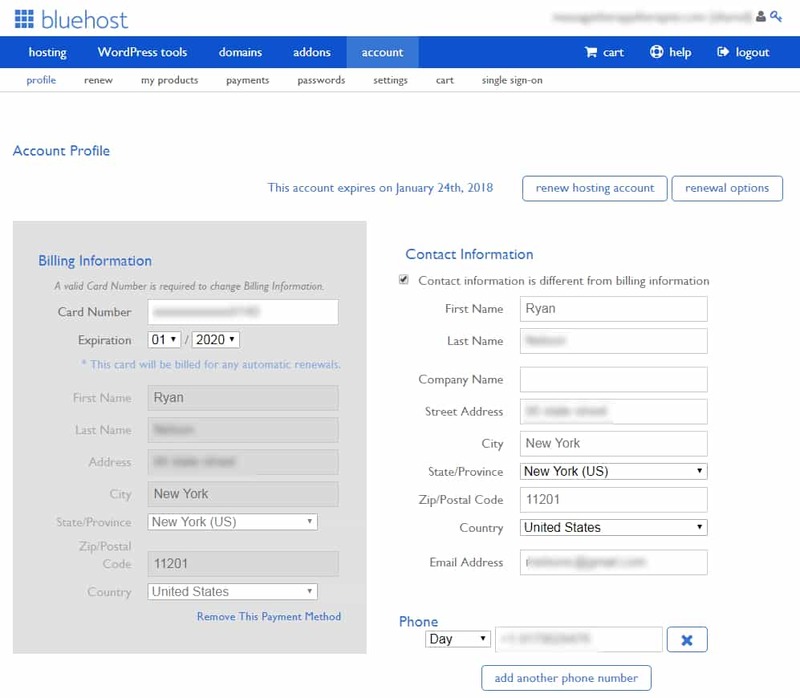 Because Bluehost has a lucrative affiliate program, everyone is eager to promote them. This means that the 'online reviews' are pretty slanted. Though there are some heroic exceptions. Below, I'll walk you through my thoughts on Bluehost and which plan I currently use. I was first attracted to Bluehost in 2014 when I built a website for my mother's therapy practice. I was using Weebly as a Content Management System for her small business site. Bluehost was ultra cheap and my mother's site wasn't getting much traffic. It made sense to choose a low-cost, functional plan for her business- so we went with a Shared Hosting plan. Sign in to your Bluehost cPanel profile. Look for the Web site section and choose Install WordPress. Pick the website name to install it to. Within the field next to the domain name, you are able to type in a subfolder like 'blog' or leave it empty if you would like the website's primary page to be the blog. If required, it is possible to modify the e-mail address, username and security password for the fresh WordPress installation. Simply click "advanced options" and you may modify those settings. Go through the license and services agreements and check the boxes. Choose the Install Now button. Now, you might ask in what ways ​is this WordPress ​plan optimized for Bluehost, and how are shared ​plans ​cheaper & different from each other? Well, the most important difference can be that Bluehost optimised WordPress ​plans ​provide VPS power and advanced NGINX architecture, as well as custom configuration of PHP-FPM. The optimized type of WordPress ​platform uses Bluehost’s virtual private servers built from the ground through SSD storage. This gives your website increased power and flexibility and enables it to have more control over the websites.